Millennials, in particular, are interested in ‘classic & nostalgic flavors’ but with a modern and upscale twist. Therefore taking CARAMEL and reinventing it in new ways and unexpected creations are of today’s consumer interest. Consumers’ flavor preferences are divided between 2 trends, one based on comforting & nostalgic more traditional flavors and the other on experimentation and intensity. These are not mutually exclusive; consumers will migrate between the two based on individual needs and external factors. How does this apply for caramel? 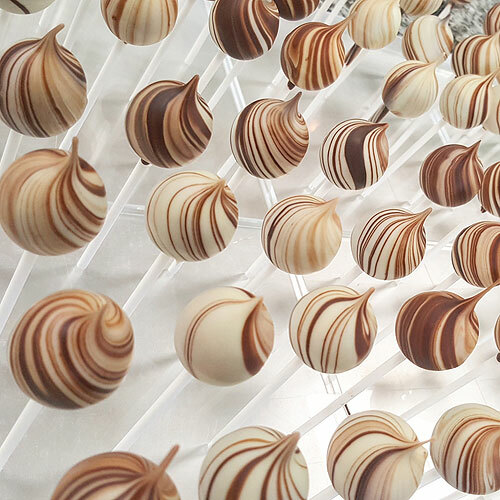 Caramel in chocolate creations remains within the top 5 flavors for years already. How come? There are unlimited caramel flavors, depending on the type of ingredients and cooking methods used. The amount of butter, type of milk and type of sugar can create nuances in flavor with a variety of different tastes, while cooking temperature can affect firmness and thus unlimited different textures and colors. 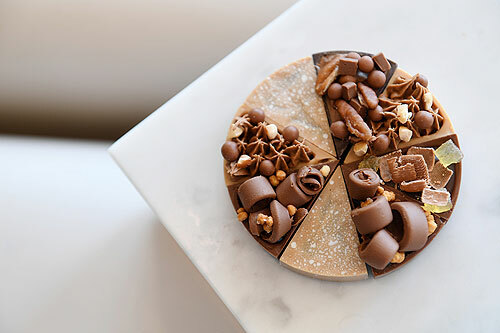 That versatility means you can create unique caramel creations. The term caramel has different faces in different cultures. Butterscotch is caramel’s ‘earthy cousin’; less complicated in both flavor and preparation. British toffee is cooked to the hard-crack stage. Dulce de leche the ‘milk sweet’ or ‘milk jam’ is popular throughout South America and has a sweet flavor and thick, gooey texture. Cajeta, the Mexican’s version of caramel made with goat’s milk or a combination of goat’s and cow’s milk, gives the earthy and slightly nutty flavor. Consumers love to try out new flavor combinations. A caramel flavor with a twist can provide enough security to persuade them to take the plunge. Twists also bring new life and interest to offerings that perhaps are a bit tired because they have seen it so many times before. Adding a twist to your caramel creations can elevate it from ordinary to interesting and become trendy especially for millennials. Salted caramel products continue to increase year over year since debuting in 2008. The flavor has been featured in breakfast cereals, dairy, snacks, desserts and ice cream, ready-to-drink beverages and confectionery, illustrating this is a flavor profile that has a lot of staying power. The marriage of salty and sweet is one that shouldn’t work, but magically and deliciously does. Consumers can’t get enough of it. Too much sugar is overly intense and too much salt simply tastes terrible, but when you mix the two, the combination is heavenly. Chefs call this flavor layering, and the right mix – not too sweet and not too salty – gives your brain a positive response. With flavor layering, flavors melt together in your mouth without giving you 1 specific taste leading to sensory-specific satiety. Therefore salty/sweet combinations double the taste sensation and create a pleasurable experience that keeps consumers coming back for more. 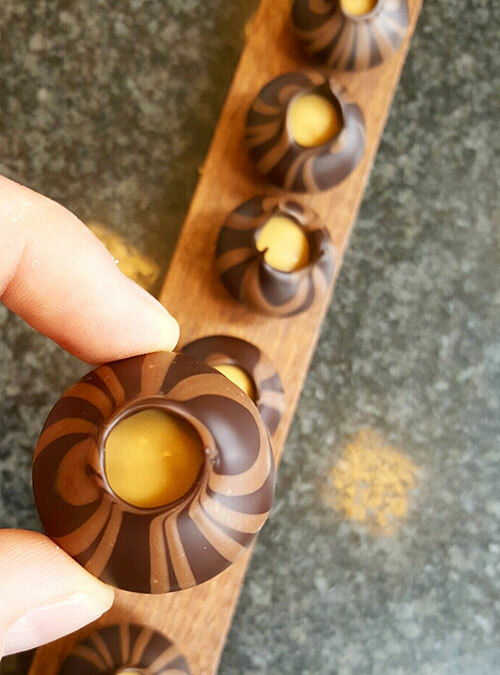 Caramel makes great pairings with a variety of different inclusions to create multi-sensorial experiences. Especially combinations with healthier inclusions like seeds, nuts and dried fruits are appealing for consumers. All sort of caramel twists including combinations with cocktail-based flavors, rosemary and sea-salt, cocoa nibs, etc. can bring your caramel creations to a next level and create a more premium perception. It also has incredible potential to satisfy various eating occasions and consumer need states like on the rising trend in on-the-go consumer snacking. Want to discover more interesting ways to bring that caramel twist in your applications?